Jim has been at the University of Redlands since 1989, and currently serves as Professor of Sociology. He specializes in social theory, research methods, cross-cultural sociology and the sociology of religion. and a series of courses on the relationship between social issues and moral commitments. You may write to him at Jim_Spickard@redlands.edu. Old stuff -- things that used to populate this website before I cleaned house. No longer updated! Jim's edited collection on ethnography in the study of religion. Click on the picture for details. This 1998 book is now out of print. edition, to appear next year. 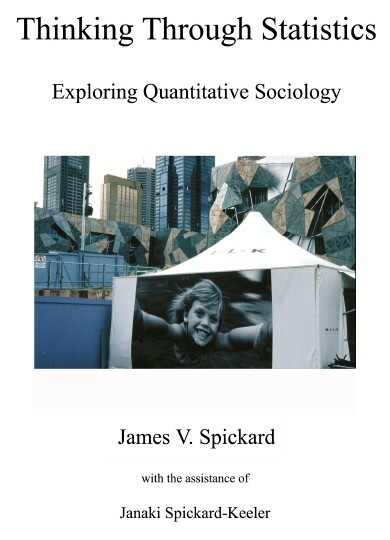 Jim's introduction to Quantitative Sociology: "Thinking With Statistics". Click on the picture to visit the publisher's website. 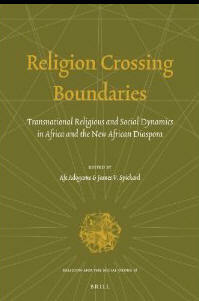 Religion Crossing Boundaries: Transnational Religious and Social Dynamics in Africa and the New African Diaspora.